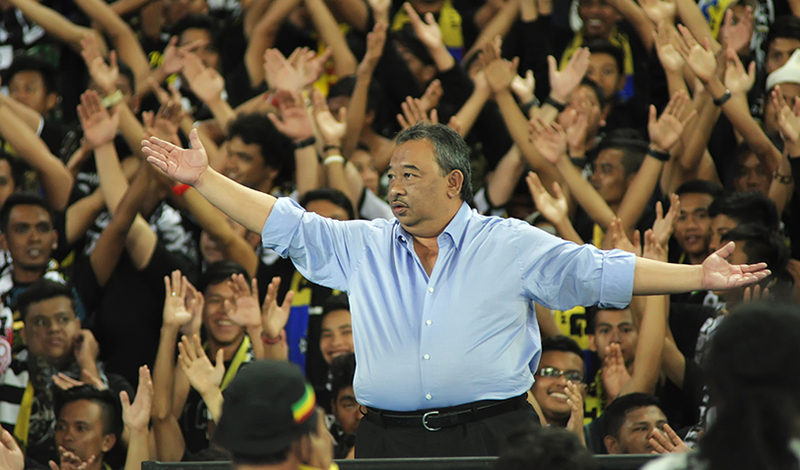 PAHANG exceeded expectations when they won three titles last season - Charity Shield, FA and Malaysia Cups. 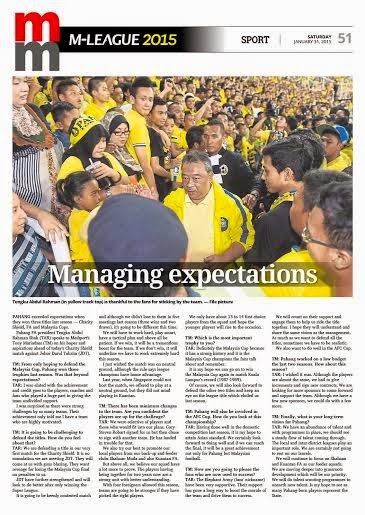 Pahang FA president Tengku Abdul Rahman Shah (TAR) speaks to Mailsport's TONY MARIADASS (TM) on his hopes and aspirations ahead of today's Charity Shield match against Johor Darul Takzim (JDT). TAR: We are defending a title in our very first match for the Charity Shield. It is no consolation we are meeting JDT. They will come at us with guns blazing. They want revenge for losing the Malaysia Cup final on penalties to us. JDT have further strengthened and will look to do better after only winning the Super League. It is going to be keenly contested match and although we didn't lose to them in five meetings last season (three wins and two draws), it's going to be different this time. We will have to work hard, play smart, have a tactical plan and above all be patient. If we win, it will be a tremendous boost for the team. If we don’t it will underline we have to work extremely hard this season. I just wished the match was on neutral ground, although the rule says league champions have home advantage. Last year, when Singapore could not host the match, we offered to play at a neutral ground, but they did not mind playing in Kuantan. TAR: We were selective of players and those who would fit into our plans. Gary Steven Robart signed for us but then chose to sign with another team. He has landed in trouble for that. We also try our best to promote our local players from our back-up and feeder clubs Shahzan Muda and also Kuantan FA. But above all, we believe our squad have a lot more to prove. The players having being together for two years now are a strong unit with better understanding. With four foreigners allowed this season, teams are going to be stronger if they have picked the right players. We only have about 13 to 14 first choice players from the squad and hope the younger players will rise to the occasion. TAR: Definitely the Malaysia Cup because it has a strong history and it is the Malaysia Cup champions the fans talk about and remember. It is my hope we can go on to win the Malaysia Cup again to match Kuala Lumpur’s record (1987-1989). Of course, we will also look forward to defend the other two titles and keep an eye on the league title which eluded us last season. TAR: The Elephant Army (fans' nickname) have been very supportive. Their support has gone a long way to boost the morale of the team and drive them to success. We will count on their support and engage them to help us ride the tide together. I hope they will understand and share the same vision as the management. As much as we want to defend all the titles, sometimes we have to be realistic. We also want to do well in the AFC Cup.